The first signs of aging begin on the face. While we cannot completely stop the march of time, we can minimize its visible effects on us. Many patients turn to facelift procedures to regain their youthful looks. There are many options to choose from when looking for a facelift procedure, and it can be hard to decide which is best for you. However, a little bit of knowledge during a consultation with your doctor will help you achieve the look you desire. 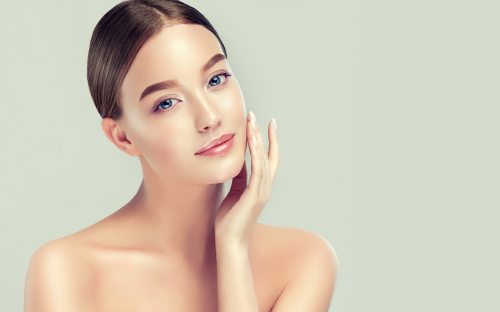 While a mini-lift has a more limited scope than a standard facelift, it may be a good choice if you are a younger patient looking to address early signs of aging such as loose skin, loss of definition in the jawline, and deep folds in the face. A mini-lift is performed using small incisions in front of the ear to address the supporting muscles in the lower face (SMAS muscle group). It can be done as an outpatient procedure, and recovery is relatively quick. Most patients can resume their public life in five to seven days. A mini-lift can also be combined with procedures such as a mid facelift, neck tightening procedure (platysmaplasty), or liposculpting. A standard facelift is the most common type of facelift procedure and can address most age-related concerns (with a few exceptions). 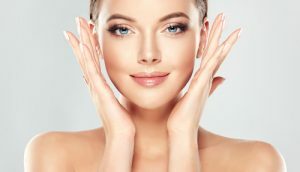 If you have more advanced signs of aging, such as deep creases or a double chin, caused by loose muscle, skin, and excess fat, then a standard facelift may be the solution for you. Standard facelift surgery also addresses the Superficial Muscular Aponeurotic System (SMAS) muscle group and can be performed under sedation, local anesthesia, or general anesthesia. Incisions are well-concealed in the hairline and behind the ears. Daily activities can be resumed after about seven to 10 days. Standard facelift surgery can be combined with platysmaplasty to address “turkey neck” or liposculpting under the chin. Neither of these procedures adds to the recovery time. Also known as a deep plane facelift, this procedure addresses the same issues as a standard facelift as well as issues in the mid face, especially the cheeks. The incisions used are the same as a standard facelift, but the muscle groups are treated differently. Recovery is longer (usually 10 to 14 days), and the surgery is typically performed under general anesthesia. New advances allow for these to be done under local with a quicker recovery. A neck tightening procedure is generally performed in conjunction with a full facelift. Smartlifting™ is a minimally invasive method of rejuvenating the face. It can be done using either a Smartlipo™ laser or VASER® ultrasound technology. Both options can be used as a non-surgical solution or in conjunction with another facelift procedure. These technologies can result in reduced trauma to the treatment sites and help to ease recovery. When used as a non-surgical solution, Smartlifting™ can be performed in as little as one hour. Laser- or ultrasound-assisted surgeries may take a little longer, but less time than a general surgical facelift. Smartlifting™ can also help make your recovery easier by reducing the amount of bruising and swelling caused by surgery. Utilizing Smartlifting™ allows for a quick recovery for a deep plane facelift. Many factors go into your decision to undergo facelift surgery, and Dr. Khoury can help make that choice easier. If you are ready for your face to reflect your youthful spirit, contact Dr. Khoury at (720) 475-8400 to schedule your consultation today. This entry was posted on Thursday, August 23rd, 2018 at 1:47 pm and is filed under Facelift. You can follow any responses to this entry through the RSS 2.0 feed. Both comments and pings are currently closed.